Originally posted on 6/19/2008, brought forward here because no one has yet submitted any other influential books. 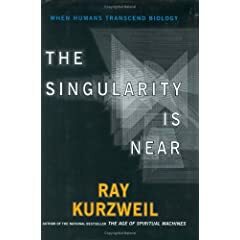 Kevin Kelly recently blogged a short list of books that changed his life, and challenged others to compose a similar list. Here’s mine, in the order in which they were read. What are yours? At a very young age, I asked my father some questions that he could not answer. So he took me to meet a college faculty member (probably in physics) who listened to my questions and gave me a paperback copy of this book. It was the first book I ever read that was in small print. Naturally, I didn’t understand the whole thing, but I understood enough to grasp that there were limits to what could be done in the universe, but no limits to how much we could eventually know. I also learned the theoretical principles of travel near the speed of light, and that there could be no traveling back in time. I still enjoyed A Wrinkle in Time (1962) by Madeleine L’Engle. This story of a boy who ran away and built a self-reliant life for himself in the wilderness sparked my imagination like no other. It was so full of detail and so believable. It was McGyver and Robinson Crusoe rolled into one. This was the type of resourceful person I decided to become. (The 1969 movie sucked). The book that sparked the controversy and public debate over evolutionary or genetic basis for human behavior. Just like the scientific question around which this is argued (nature vs. nurture), I suspect there are valid elements to each point of view. As a robust scientific thesis, it can and has been spun to justify specious arguments about crime, social programs and even warfare. But the world is not black and white. This biographical story of a 13,000 mile journey on America’s most rural of roads greatly influenced me. It remains my favorite form of travel. Its because of this book that we stumbled upon Grant Wood’s American Gothic house two years ago. This best-selling book is basically about life skills, but the part that resonated with me was his discussion and analysis of Love. Bottom line is that true love for another person means that you will encourage and help that that person in their spiritual growth. Consequently, you can’t “love” an animal or pet in the same sense. I picked up this book while working as a marketing analyst for Time-Warner cable, and this thin volume is elegant in its theory and approach to using charts and graphs. This book influenced my choice of what Masters degree to pursue 10 years later after I started working in higher ed. Tufte has written many other excellent books about information theory, including serious criticisms of Microsoft Powerpoint and how it has influenced thinking. He has credibly cited Powerpoint as an element contributing to the Columbia space shuttle disaster. The Omnivore’s Dilemma: A Natural History of Four Meals, (2006) by Michael Pollan. A great investigative analysis which will totally change the way you think about what you eat. Its about economics, agriculture, food technology, the American diet and above all, corn. Things have changed so much in my lifetime. I can’t say the book has significantly changed my habits, but I sure am better informed. And I have an appreciation for grass-fed buffalo and beef. Incidentally, included is an explanation of why the purported economic benefits of using ethanol fuel is BS. New York Times science writer Gary Taubes has released his new book, titled “Good Calories, Bad Calories“. Taubes thoroughly expands and sources the controversial 2002 thesis of his NYT published column “What if It’s All Been a Big Fat Lie?” He seriously debunks the fat-is-bad nutrition orthodoxy, applies some social science to explain the orthodoxy, and also claims that the foods at the bottom of he USDA pyramid are the actual culprits in our national obesity epidemic. NYT writer John Tierney profiles the book and the arguments here. Author baribobPosted on October 11, 2007 Categories science2 Comments on Bacon Cheesburgers for everyone! Here’s a cool set of illustrations I received by email…. I couldn’t verify its legitimacy on the web, but I’ll assume the scaling is accurate. Update: here’s the source reference for these images.